Dave Munson arrived in Canada a man on a mission. 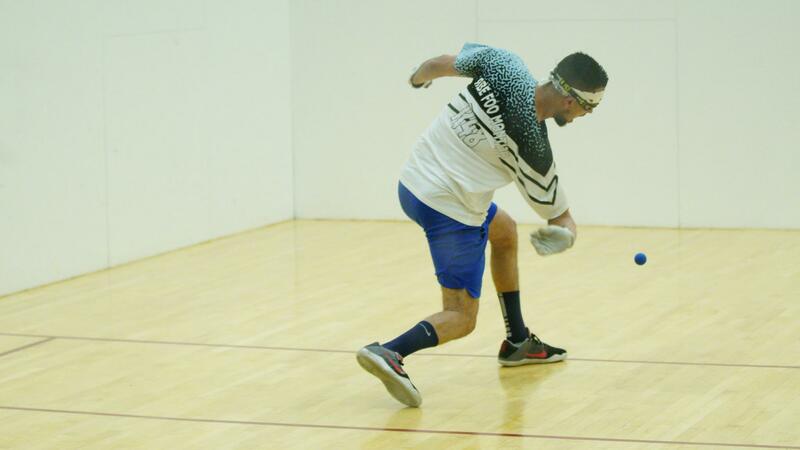 After losing in last year’s final, Munson left nothing to chance in this year’s final against the R48 #15 Abe Montijo. Munson attacked early and often, ending rallies from the front and back court with both hands and refusing to allow Montijo into the match. Munson cruised in two games, earning one of the biggest titles of his career. “He was just a beast and too good,” stated Montijo after the match. Dave Munson teamed with his brother Mike to slam the open brackets, ousting Montijo and Kevin Kopchuk for the title. Maria Dugas demonstrated the promise that she first exhibited as a teen, running away with the women’s open singles title by defeating two Canadian legends. The day after toppling Lisa Fraser-Gilmore, Dugas was equally impressive in defeating Jessica Gawley, overpowering the veteran to win in two games. In a match-up of two of the brightest junior stars in the sport, Ivan Burgos stunned Michael Gaulton in two games to take the prestigious 19-and-under title. Scroll down on this thread for updates and recaps from the week in Winnipeg. Chicago’s Dave Munson faced Canadian veteran Shane Vigen in the upper bracket men’s open singles semifinal, with the Windy City sharp shooter trying to overcome the Great White North’s speed demon. Vigen started well against Munson, building a 13-9 lead in game one, but Munson found his form, coming back in game in and cruising in game two to advance to the final for the second consecutive year. “Dave really upped his game, hitting kill shots from all over the court to take control of the match,” stated WPH reporter Ryan Bowler. The bottom bracket semifinal pitted Race 4 Eight stalwart Abraham Montijo and less well-known but highly capable Mike Munson. Montijo and Mike Munson played virtually even throughout both of their games, with the lead changing hand several times. Montijo was able to play his best at the biggest moments of both games, advancing to the final in his first trip to Canada. “Abe and Mike really went back and forth in both games, but Abe was able to execute big shots late in both games to overcome Mike,” stated Bowler. Canadian women’s legends met the future of the Canadian women’s handball, with top-seeded Jessica Gawley and Lisa-Fraser-Gilmore representing more than 50 combined years of Canadian handball excellence and their opponents seeking to carve their paths of Canadian handball stardom. 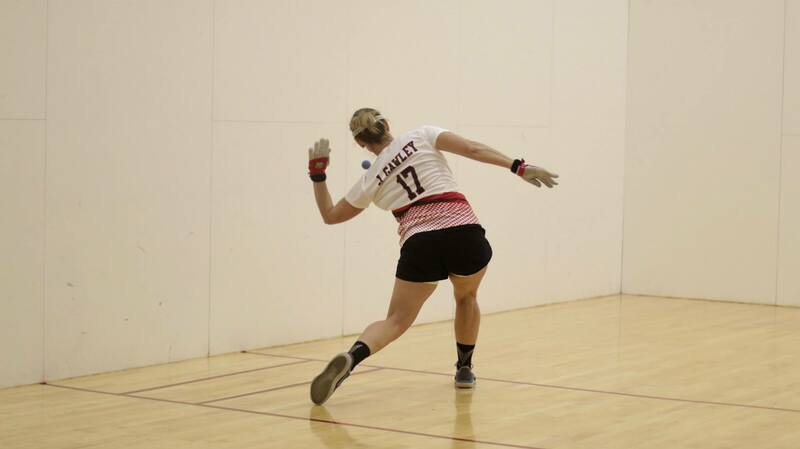 Jessica Gawley proved she still is one of the top women to beat in Canada in the upper bracket semifinal, dispatching of Leslie Amminson in two games to reach the women’s singles final. Maria Dugas met one of her mentors and idols in the bottom bracket final, as Dugas faced the Canadian handball ageless ambassador, Lisa Fraser-Gilmore. Youth prevailed against experience, as Dugas overcame Fraser-Gilmore in two games to advance to the final. Race 4 Eight pro and WPH reporter Ryan Bowler picked up his first Canadian National title, defeating his protégé Michael Gaulton in the final. 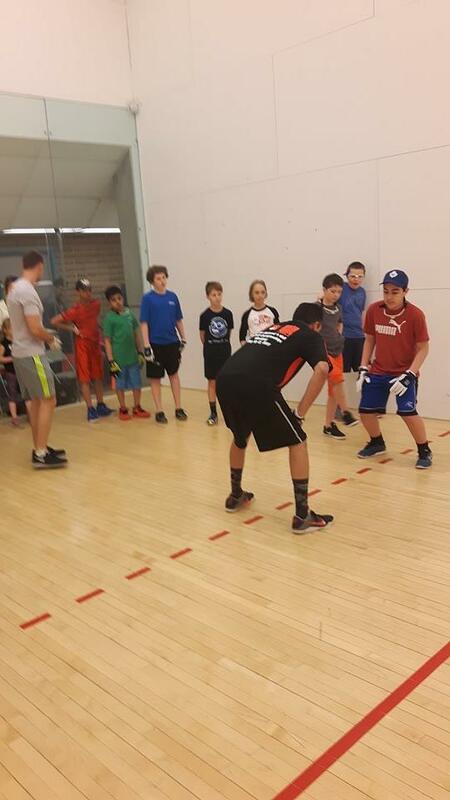 Thank you to WPH reporter Ryan Bowler for the updates from Winnipeg. Stay tuned to this thread throughout the week for updates and recaps from Winnipeg. Winnipeg, MB CAN, WPH Press, 5/11/13- The University of Winnipeg and the Canadian Handball Association were proud to present the 2017 Canadian National Handball Championships, featuring the best handball players from Canada. 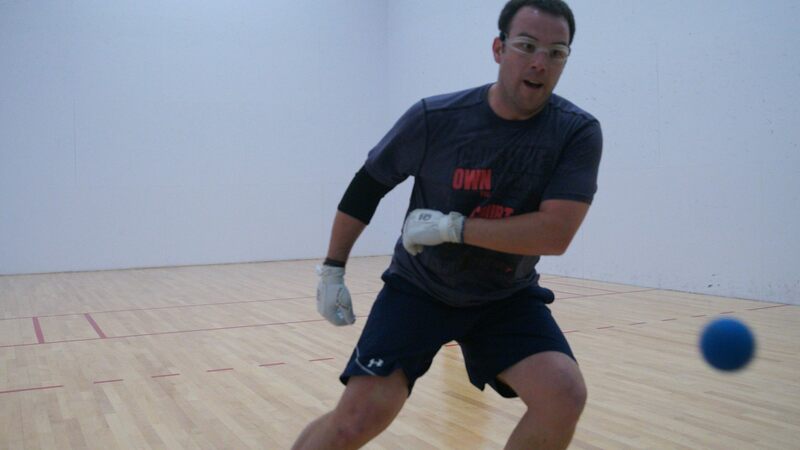 Dave Munson entered the 2017 Canadian National Handball Championships having lost in a tiebreaker to Daniel Cordova in last year’s men’s open singles final. 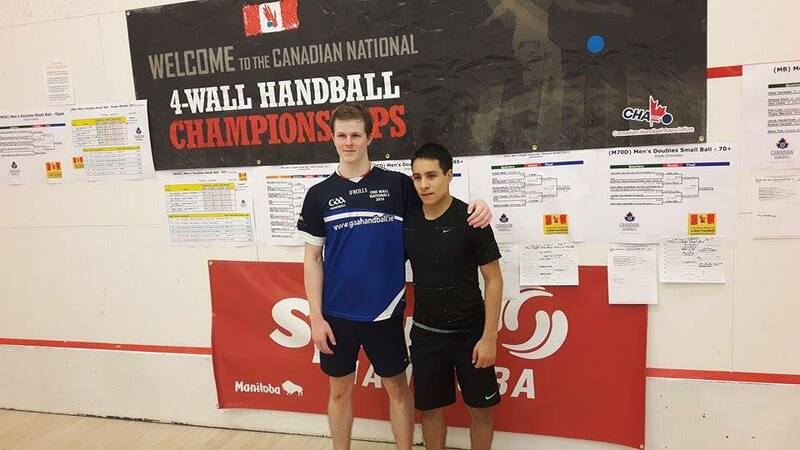 Munson would be seeking his first Canadian Open men’s singles title, but would face a strong field that included Canada’s top-ranked Race 4 Eight star Ryan Bowler, Mid-America regional champion Ivan Burgos, Shane Vigen, Michael Gaulton, and Mike Munson. Top-seeded Dave Munson had little difficulty with former Canadian prodigy John Audet, downing the hard-hitting Niagra Falls man in two games. Edmonton’s fleet-footed Shane Vigen faced current USHA 17-and-under champion Michael Gaulton on the most exciting quarterfinal match of the morning. 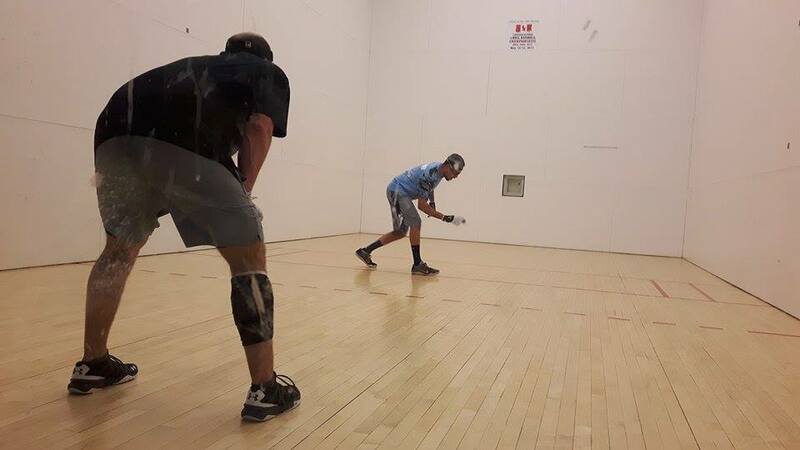 Vigen used his experience and shot making to take game one and held match point in game two. Vigen was unable to close out the junior star in game two, as Gaulton forced a tiebreaker with several clutch kills. Vigen remained composed, eliminating the youngster in a close tiebreaker. Mike Munson dashed the dreams of Canada’s highest-ranked Race 4 Eight star Ryan Bowler, never allowing Bowler into the match and putting a quick end to his Canadian National Championship dreams in two games. Former Women’s National Canadian champion Jessica Gawley and current WPH Women’s Race 4 Eight top 8 pro Jessica Gawley landed the top seed in the strong women’s draw, with rising star Maria Dugas, Canadian legend Lisa Fraser-Gilmore, and rising star Leslie Amminson on the short list of favorites to capture the 2017 title.